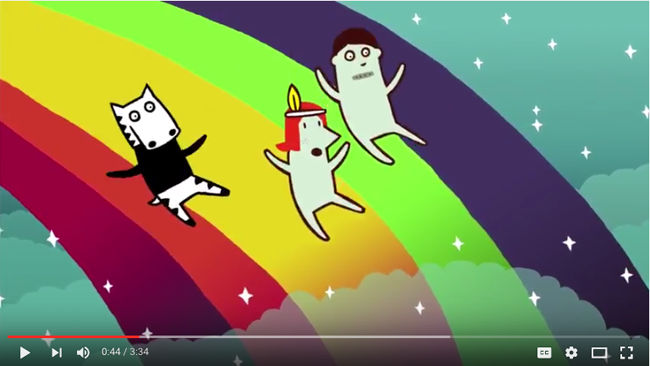 A while back our friend Kid Acne created a character and series called Zebra Face. 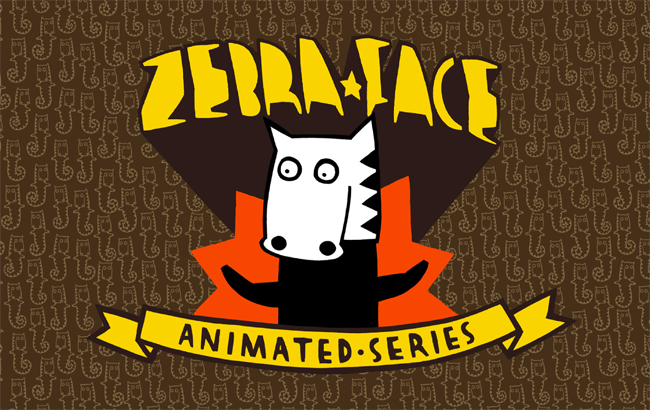 After years of hiatus, Zebra Face makes a bold return with a video mini-series! Check it out below and be ready to laugh! Zebra Face is a bombastic stripy horse with rudimentary rhymes skills and an insulin dependent sidekick named Durable Mouth Organ Diabetic. The un-dynamic duo have no specific super powers, but will bust up baddies nonetheless, cos that’s how they roll in the 2Dimensional universe. Zebra Face began life as a one page comic strip in the underground fanzine Velcro Grass way back in 1995, illustrated by Kid Acne and written by Supreme Vagabond Craftsman. Having gained a cult following throughout the late 1990’s, Zebra Face developed into a self-published book at the turn of the millennium and despite getting mad props over here, the “Buffalo Godfather” lay dormant for over a decade. 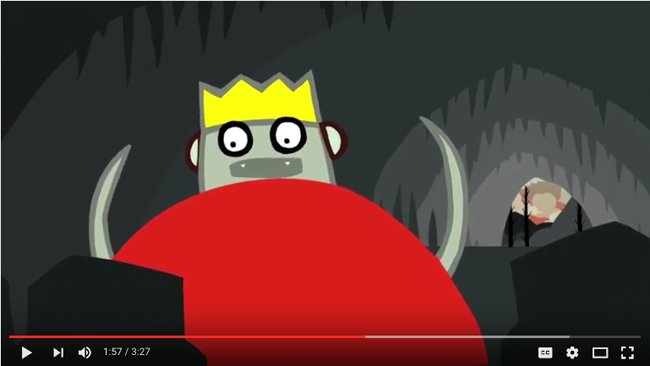 In 2012 however, Channel 4 commissioned the creators (alongside an ensemble of animators, designers and musicians) to adapt a handful of these stories into 3 minute animations for their Random Actsseries. These were broadcast sporadically during the witching hour over the past few years, which meant you had to stay up late to tape that sh*t or ask someone in the household how to set up the timer on the video recorder or something. The cartoons boast a cast of UK talent, including Jarvis Cocker, Roots Manuva, Rosamund Hanson, Lady Chann, Chester P, Farma G, Juice Aleem and Infinite Livez, so we’re pleased to announce they are finally online for you to enjoy during more sociable hours. For those of you who did stay up late to watch them the first time around, we’d like to thank you for your commitment and dedication. Durable Mouth Organ Diabetic wakes up with poorliness in the extreme. 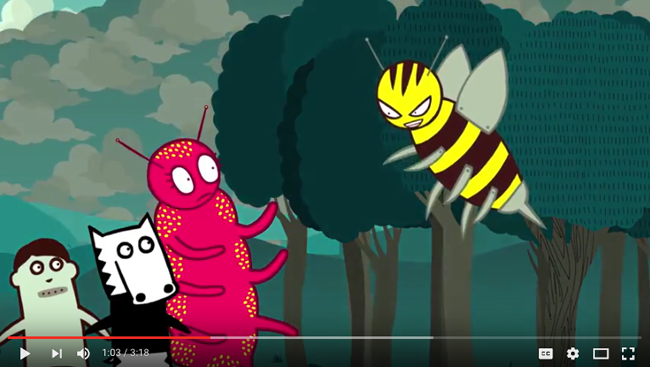 Can Zebra Face save his friend from the tummy virus attack? 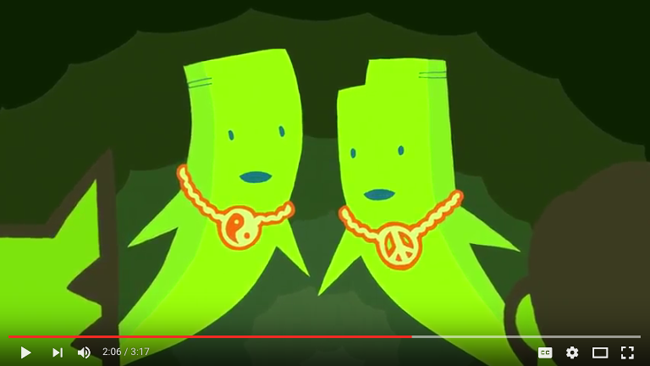 Or will they need the help of some mysterious rapping twins? Our stripy hero gets dissed from the heavens. 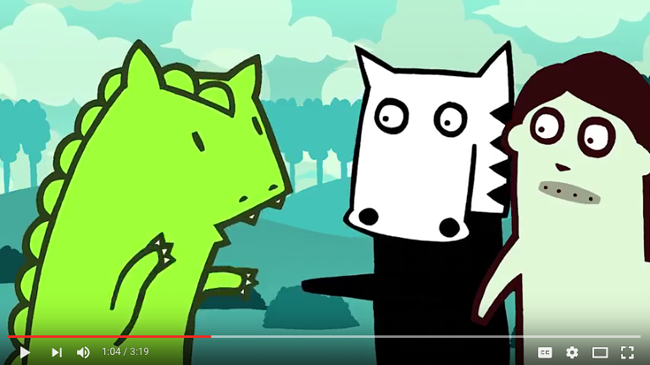 With just his dinosaur friend and an egg to help, can Zebra Face right this terrible wrong? Stinging from the heavens comes Metal B-Boy, his super venom sting leaves our hero magnetised. Maybe Strawberry Caterpillar has a trick up one of her many sleeves? With their senses disabled, fresh crime-fighting is put on hold. Who is the baddie ultra-supreme and can our duo take care of business? Silken Footstep sneezes out a spooky new world and the Ghost MC’s battle raps are too hot to handle. Can Folk really save the day?